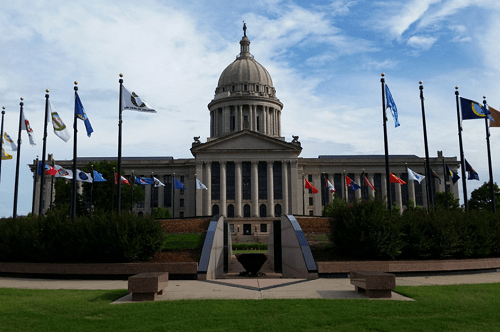 For the better part of a decade, Oklahoma has been trying to wrangle its agencies to unify their technology operations. And they’ve made a lot of progress. Ostrowe’s appointment comes as Stitt shakes up the agency reporting structure, splitting the duties of the old secretary of finance position into three. Though Ostrowe doesn’t have direct supervision of the state’s IT department, he will be working closely with the person who does: John Budd, who has been appointed secretary of agency accountability. One thing in particular Ostrowe wants to look at is where technology and data silos exist in the state government, and examine where the state might be able to make itself more efficient or collaborative. He’s in the process now of determining what data the state collects on its citizens, and where that data is housed. Ostrowe’s first meeting upon taking the job was with Oklahoma CIO Bo Reese. Ostrowe said he’s planning on working with the state’s technology leaders — including Budd, to whom Reese will report. “John’s more strategy and I’m more execution,” Ostrowe said. He and Budd come from similar backgrounds. For two decades, Ostrowe has led O&M Restaurant Group, which runs Burger King franchises and other restaurants. Budd served as an executive of Oklahoma City-based Sonic, the drive-in chain. During his time in the restaurant industry, Ostrowe said he touched every part of the business and considered how the pieces fit together and how technology might serve them. His background also includes five years on the board of the state lottery agency, three of which he served as chair. While there, he said, the lottery worked with the Legislature to change laws and found a way to double revenue. He also prides the agency’s use of technology. As for his time serving in the governor’s cabinet, Ostrowe won’t be taking a paycheck. He views that work as giving back to the state. He’s keeping his job leading O&M, which he calls his “day job” — though that may be a bit of a misnomer.